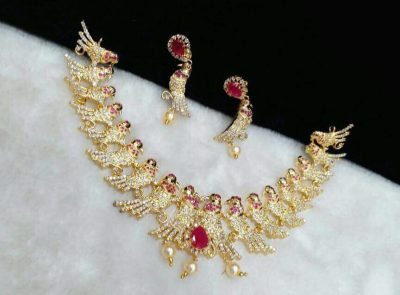 Now a days Every women dream is buy Gold jewellery, But everyone can’t buy gold because it is expensive. 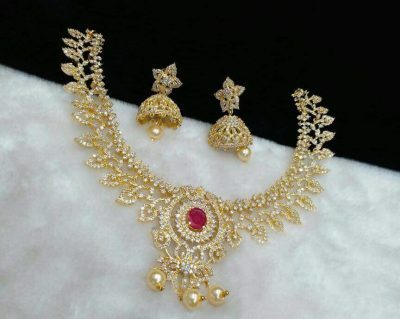 So maximum people prefer to buy one gram gold jewellery. 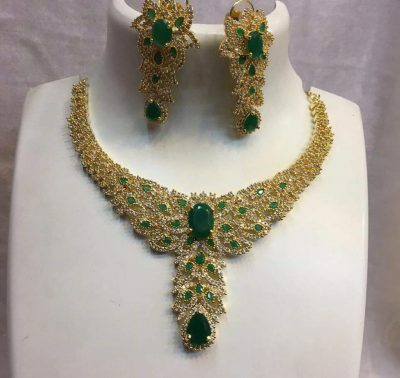 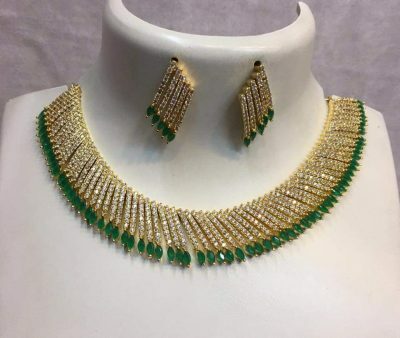 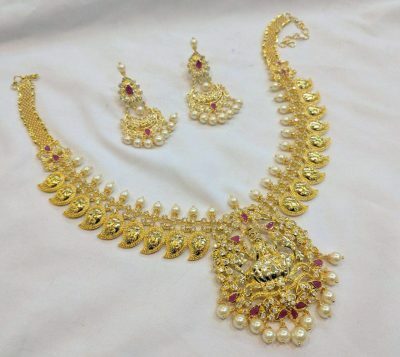 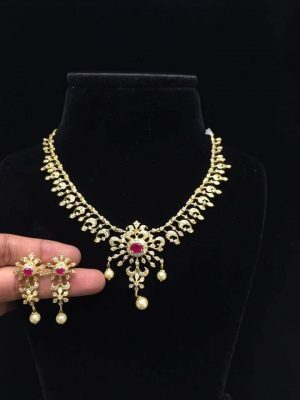 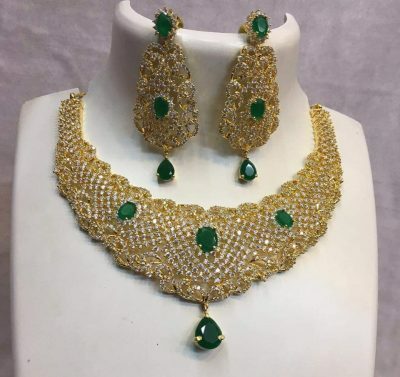 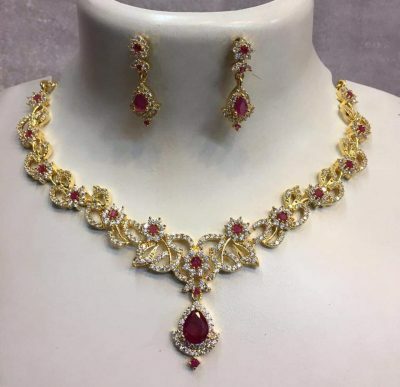 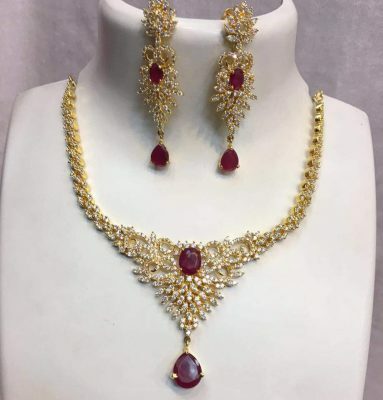 Gold jewellery we can’t change regularly as per matching saree or dress, but one gram gold we can change regularly because it is less expensive and huge models available. 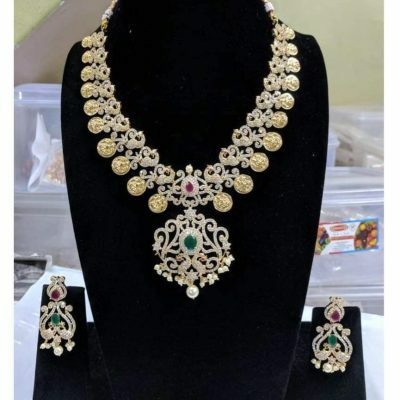 About necklace: Necklace totally design with cz, red and green stones. 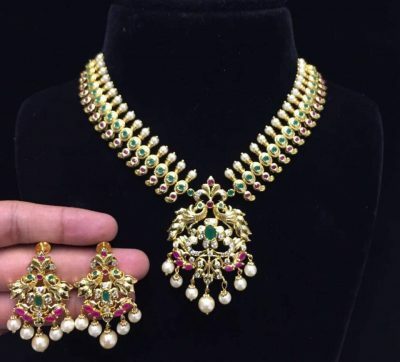 About necklace: Necklace designed with mango and pearls. 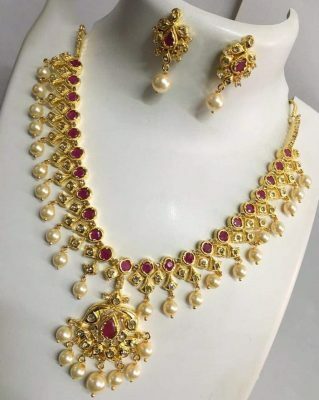 Locket: Maha lakshmi design and pearls, rubies. 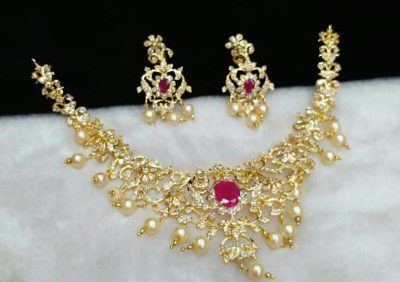 About necklace: Necklace totally design with pearls and rubies. 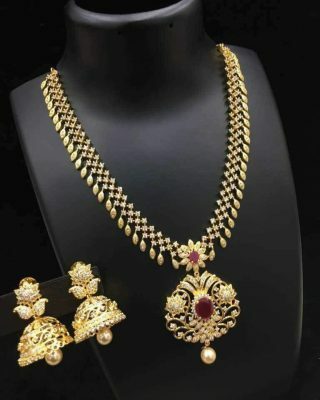 About necklace: Necklace totally design with cz. 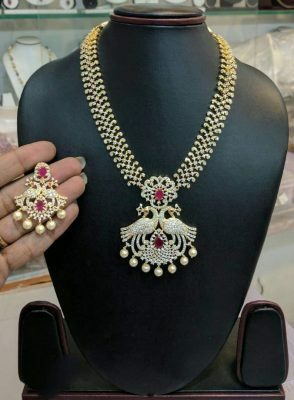 About necklace: Necklace designed with cz peacocks and kasu design. 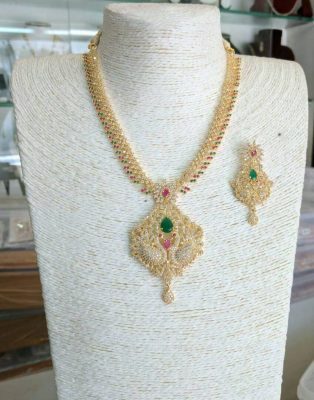 About necklace: Necklace designed with mangoes. 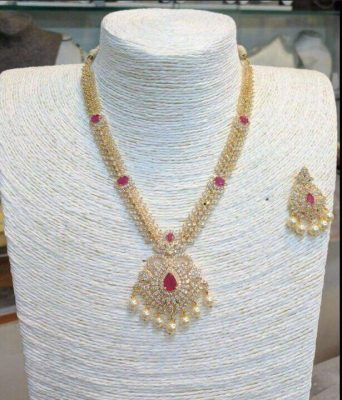 About necklace: Necklace designed with white stones. 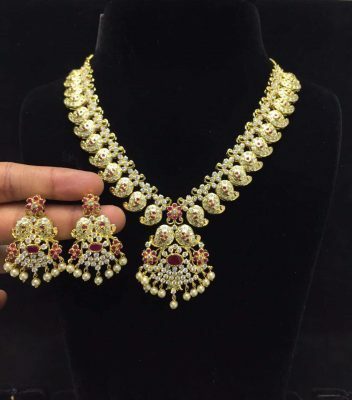 About necklace: Necklace designed ad floral with pearls. 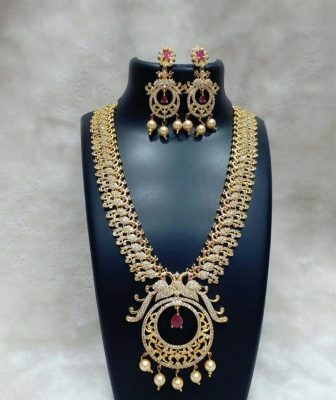 I am a reseller. 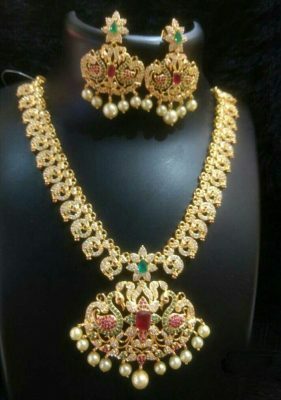 Can you send the regular updates with best price.